As the applicability of cellular automata broadens and technology advances, there is a need for a concise, yet thorough, resource that lays the foundation of key cellularautomata rules and applications. In recent years, Stephen Wolfram's A New Kind of Science has brought the modeling power that lies in cellular automata to the attentionof the scientific world, and now, Cellular Automata: A Discrete View of the World presents all the depth, analysis, and applicability of the classic Wolfram text in a straightforward, introductory manner. This book offers an introduction to cellular automata as a constructive method for modeling complex systems where patterns of self-organization arising from simple rules are revealed in phenomena that exist across a wide array of subject areas, including mathematics, physics, economics, and the social sciences. The book begins with a preliminary introduction to cellular automata, including a brief history of the topic along with coverage of sub-topics such as randomness, dimension, information, entropy, and fractals. The author then provides a complete discussion of dynamical systems and chaos due to their close connection with cellular automata and includes chapters that focus exclusively on one- and two-dimensional cellular automata. The next and most fascinating area of discussion is the application of these types of cellular automata in order to understand the complex behavior that occurs in natural phenomena. Finally, the continually evolving topic of complexity is discussed with a focus on how to properly define, identify, and marvel at its manifestations in various environments. 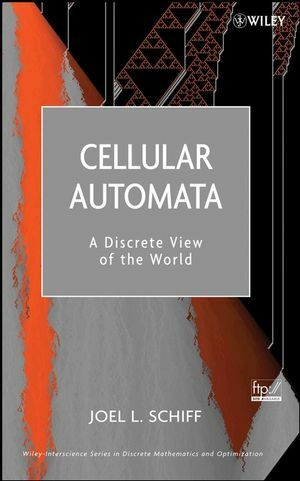 The author's focus on the most important principles of cellular automata, combined with his ability to present complex material in an easy-to-follow style, makes this book a very approachable and inclusive source for understanding the concepts and applications of cellular automata. The highly visual nature of the subject is accented with over 200 illustrations, including an eight-page color insert, which provide vivid representations of the cellular automata under discussion. Readers also have the opportunity to follow and understand the models depicted throughout the text and create their own cellular automata using Java applets and simple computer code, which are available via the book's FTP site. This book serves as a valuable resource for undergraduate and graduate students in the physical, biological, and social sciences and may also be of interest to any reader with a scientific or basic mathematical background. Joel L. Schiff, PhD, is Senior Lecturer in the Department of Mathematics at The University of Auckland, New Zealand. Dr. Schiff received his PhD from the University of California-Los Angelesand has published numerous articles and two books on his research specialties, which include complex function theory, potential theory, cellular automata, and the arithmetic Fourier transform.